Penn Manor athletic director Jeff Roth has received yet another honor from his peers. Roth, who has served as Penn Manor AD since 2001, will be honored this week as Athletic Director of the Year for Region V of the Pennsylvania State Athletic Directors Association. Region V includes schools in Adams, Berks, Cumberland, Dauphin, Franklin, Juniata, Lancaster, Lebanon, Perry and York counties. He is one of five athletic directors from across the state to receive the honor. 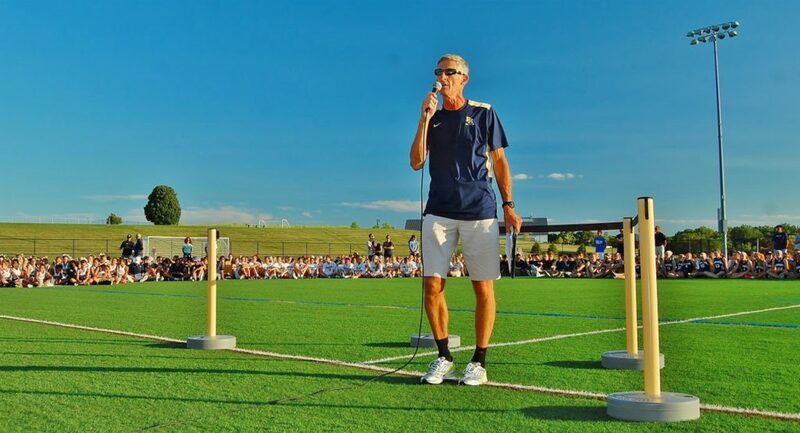 Roth directs the district’s athletic program and oversees its 24 high school and 10 junior high sports in which more than 800 students participate. He also served as Penn Manor head girls’ basketball coach from 2001 to 2005 and has served as the L-L League Track and Field Chairperson since 2005. In addition, Roth chairs the A. Landis Brackbill Scholar-Athlete Scholarship Committee, which recognizes top student athletes in the Lancaster-Lebanon League. Earlier this school year, he was named L-L League Athletic Director of the Year and PIAA District III AD of the Year. Congratulations, Jeff, and thanks for supporting and promoting Penn Manor athletics and our student athletes.